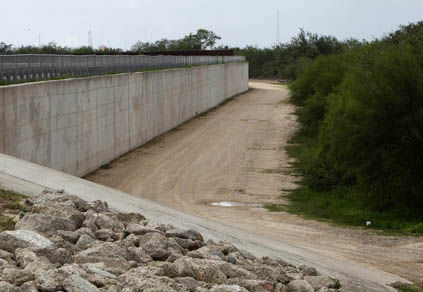 EDINBURG — A judge Wednesday dismissed part of the Hidalgo County Drainage District’s lawsuit against its former manager, Godfrey Garza Jr., who’s accused of fraud, conspiracy and breach of contract in a case that has been investigated for four years and involves federal border wall funds. Judge Martin Chiuminatto, a visiting judge for the Fifth Administrative Judicial Region, granted Garza’s motion for summary judgment — a request for the court to rule that the district has no case against him. Garza is one of multiple defendants named in a lawsuit the district filed in January 2017. The others include his company, Integ Corporation, as well as Valley Data, which is owned by his wife Annie Q. Garza. She, along with their sons Jonathan Garza and Godfrey “Trey” Garza III, are also named in the suit. Hidalgo County officials allege that Godfrey Garza made millions of dollars off county drainage projects and federally funded levee border wall projects by negotiating a contract with then-county commissioners to receive 1.5 percent of every dollar spent by the district. This was accomplished by naming his company, Integ Corp., as manager of the drainage district. The contract was written by Hidalgo County attorney Steve Crain, and the commission payments were on top of Garza’s $120,000 annual salary. Integ Corp. was also paid $6,000 per month to provide the Hidalgo County Regional Mobility Authority with executive administrative services. Lawyers for the defendants argued that Garza was not responsible as an individual because his name did not appear on Integ’s contract with the county. Chiuminatto repeatedly questioned the drainage district’s attorney, Michael Cowen, as to why this civil case was not referred to federal criminal court given that it involved government money. Jonathan Almanza, intra-governmental affairs director for Hidalgo County Judge Ramon Garcia, said however that the rulings were not a total loss for the county. That’s because the judge sustained the district’s plea for jurisdiction, in effect dismissing Integ’s counterclaim against the district in which Garza was seeking $84,000 in money owed to him under his contract. Ethan Shaw, an attorney for Godfrey Garza and Integ, said he plans to appeal the ruling. A fifth amended petition to the drainage district’s original lawsuit is also still in play, Almanza said. The petition was filed Jan. 24. In addition to fraud, civil conspiracy and breaches of contract and fiduciary duty, the petition alleges that the defendants violated the Racketeer Influenced Corrupt Organization Act by engaging in the “racketeering activit(ities)” of bribery, mail fraud, wire fraud, money laundering and extortion. A pretrial hearing is set for Feb. 22 when the judge is expected to address remaining motions. Lawyers for the defendants called it a “Hail Mary type pleading” when the drainage district’s attorneys filed a sixth amended petition — which includes the RICO charges — at 12:04 p.m. as the judge was in the midst of making his rulings on the motions for summary judgment. This prompted the judge to question whether “gamesmanship” was being tried by the plaintiffs. Lawyers for the Garzas and Integ viewed the judge’s rulings Wednesday as favorable for their case. Shaw said he would be filing responsive motions “shortly” to have the RICO petition dismissed. 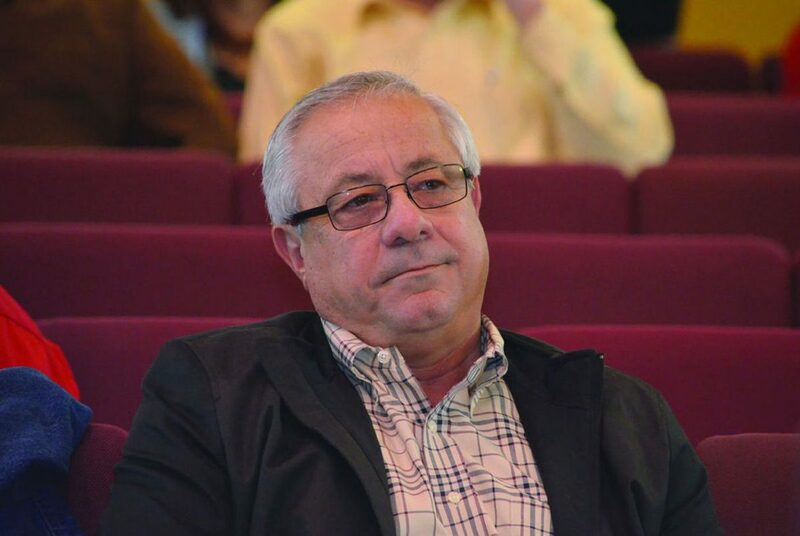 Chiuminatto also ruled Wednesday that Precinct 3 Commissioner Joe Flores will be deposed by the defendants’ attorneys in the next couple of weeks. Flores is the only sitting commissioner who was in office during the period covered by the drainage district’s lawsuit. The only way the county can avoid the depositions is to withdraw their case against the defendants, Marcus Barrera, an attorney for Godfrey Garza and Integ, said. In addition, Annie, Jonathan and Trey Garza were ordered to be deposed by attorneys representing the drainage district no later than Feb. 16, after they had failed to appear for previously scheduled depositions. Godfrey Garza has already been deposed. The trial is currently set to begin Feb. 26. This story was updated to clarify that it was Godfrey Garza’s company, Integ Corporation, that was paid $6,000 per month to provide the Hidalgo County Regional Mobility Authority with executive administrative services; and that current Hidalgo County Commissioner Joseph Palacios would not have been deposed in the case and was not serving on the commission during the time noted in the drainage district’s lawsuit.